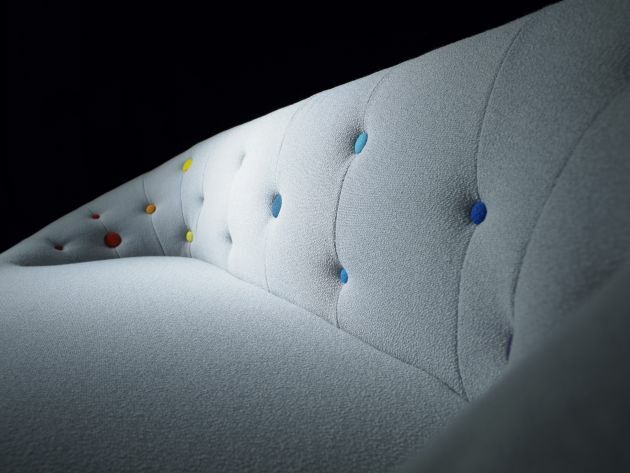 British designers Dan Ziglam and Elliot Brook have created the Capsule Collection of seating for their furniture brand Deadgood. 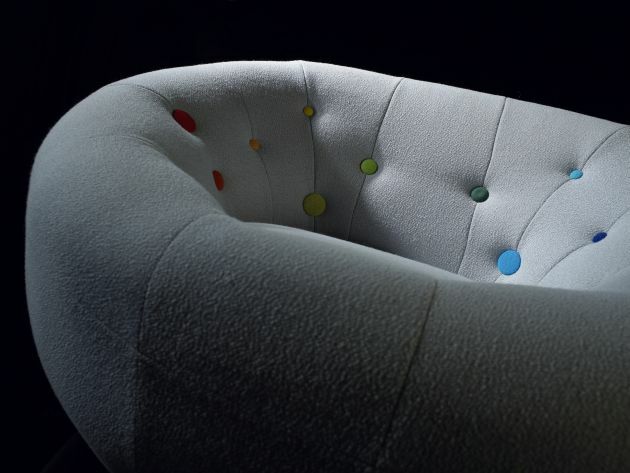 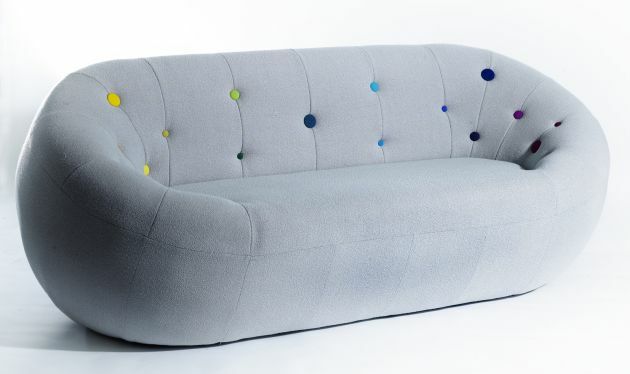 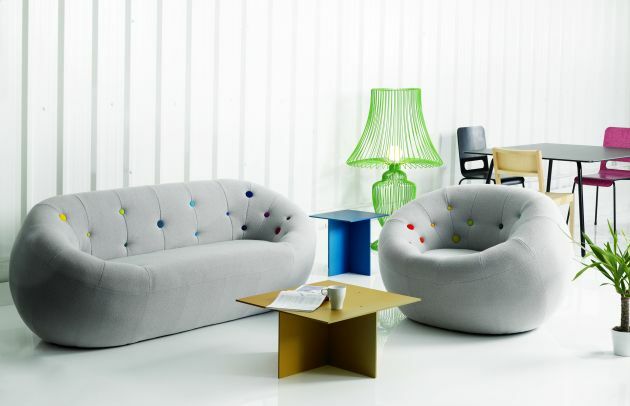 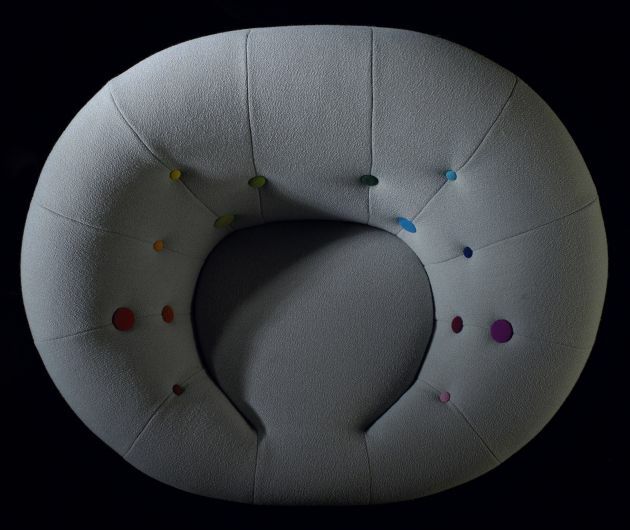 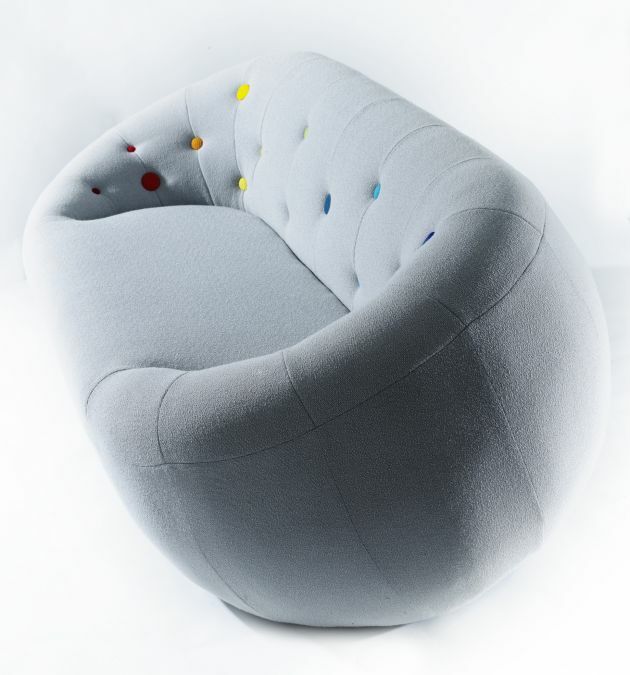 This fully upholstered collection of seating utilises off cuts of fabric to create a graduated run of colour tones and textures that cover an arrangement of irregular sized buttons. 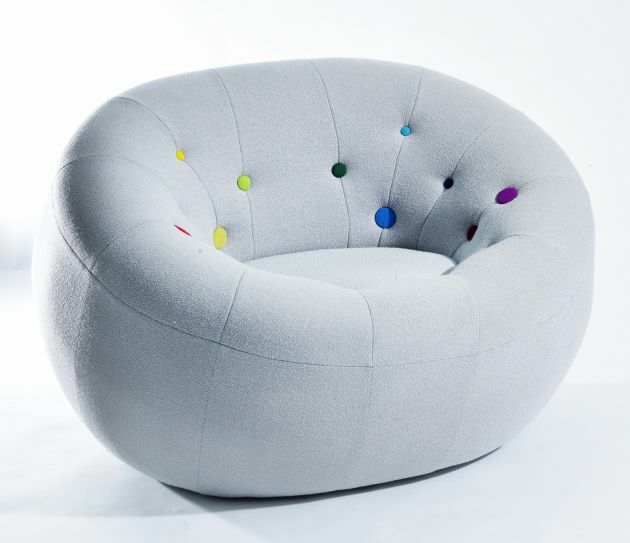 The forms themselves are derived from a simple three-dimensional capsule shape which creates a comfortable and engaging seating range, suitable for either commercial or domestic applications, with a tongue in cheek reference to the solar system and 60’s space age adventure.